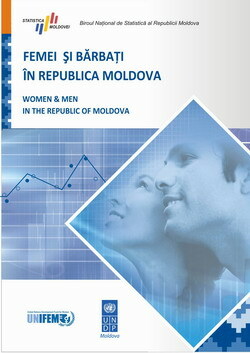 Statistical compilation "Women and men of the Republic of Moldova, Analysis from a territorial perspective"
The Report “Women and men in the Republic of Moldova. 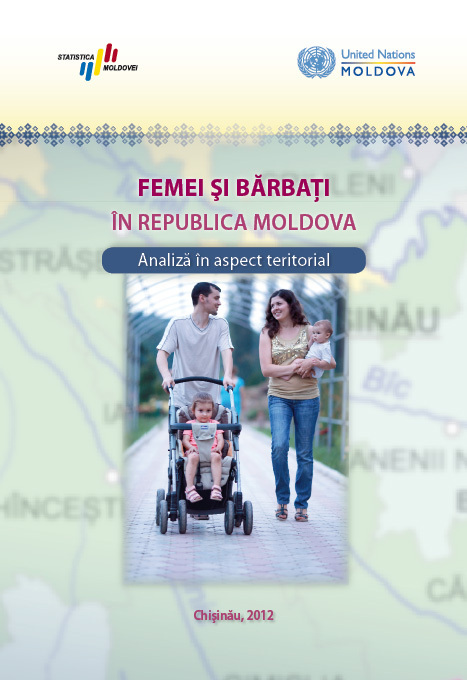 Analysis from a territorial perspective” is an attempt to show for the first time the situation in our country as far as role distribution between women and men is concerned generally in society, but also at the level of the development regions: Chisinau municipality, North, Centre, South, Gagauzia ATU. The compilation contains data for 2007-2010 regarding public and political life, population, health, labour market, entrepreneurship, education, living conditions, social protection and iothers For the first time, a chapter Violence against women was included in the publication. 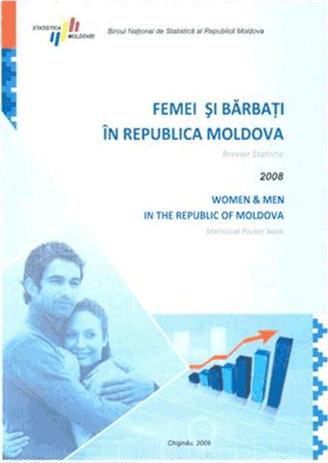 Statistical compilation "Women and men of the Republic of Moldova"
Edition 2008 was elaborated by the National Bureau of Statistics of the Republic of Moldova with the support of the United Nations Development Fund for Women. The publication contains statistical data regarding participation in the public and political life, population, health, international migration, labour market, education, social protection, criminality, living standards. The data are accompanied by short explanatory analyses which help users to form an overview on the situation of women and men and to understand better the dynamics of relations between sexes, progresses in realization of gender equality and gender inequalities existing within the society. The main idicators are given in comparison with other countries. The pocket-book "Women and men in the Republic of Moldova"
The pocket-book is a follow-up to a series of similar publications and contains information about the status of women and men in such areas like: demography, employment and unemployment, health care, education, social protection, criminality and living standards as of the end of 2008. Gender equality, equity and the empowerment are increasingly recognized as essential to the sustainable development of a democratic society. This is grounded on the state's commitments to reach the goals and targets under the Millennium Development Goals as well as to fulfill CEDAW Concluding Comments to Moldova 2000 and 2006. The statistical pocket book was published within the Joint UNDP UNIFEM, UNFPA Project "Strengthening National Statistical System".